When the iPad was announced last January, the was many arguments about the point of the iPad between Apple fanboys and Apple haters. The fanboys said that the iPad is the replacement to the netbook, yet haters say it is pointless because it lacked features such as a USB port or a camera. Since, then the iPad has become a huge success but the question remains, by how much? Well according to Best Buy's CEO, Brian Dunn, a lot. 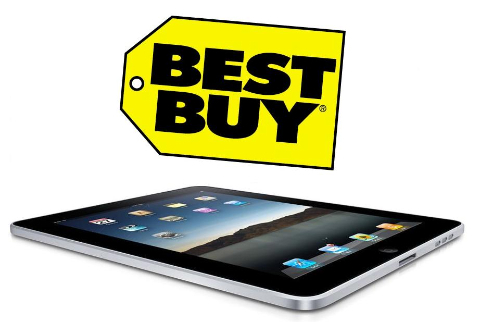 As Dunn has told the Wall Street Journal that in Best Buys stores, the presence of the iPad has halved all netbook sales as customers are preferring newer, lighter and more portable devices. Brian Dunn also said that will the holiday season looming, they are going to increase it's stock of portable devices such as tablets, e-readers and smartphones, while reducing the amount of PCs and TV's in store. But the big question is, by how much will the iPad dominate this Christmas, and will this be the end of netbooks and the rise of the tablet?